It’s that SWEET time of year and the teachers are busy getting ready. It’s true! They go in way before the kiddos to prepare their classrooms, complete staff development and ensure that everything is in place when their students arrive. 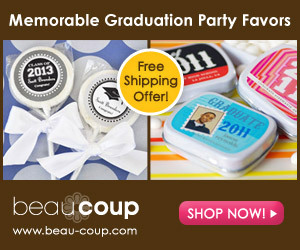 Lollipics sent personalized custom treats to ten teachers to go back to school with Lollipics! It has been super fun to work with these teachers as they picked their designs from my art portfolios and get them into their hands. I have to say that being a licensed artist is always fun but when it meets up and crosses paths with the educational world, it is me living the dream! I teamed up with Chad from Male Kindergarten Teacher and some of his awesome teacher friends to share this fun with you! I can’t get over some of these awesome educators. Not only do they teach full-time…but they maintain blogs to share their ideas and collaborate with other teachers around the world. I think that is super cool! Do you know Chad from Male Kindergarten Teacher? He is amazing. I met him when he started working with the Ellison Design Team and fell in love with his projects and ideas. He is super clever. I got to meet him in person and the SDE conference this summer and let me tell you, his passion for teaching is contagious! Look at his adorable Lolllipics! You can buy them HERE for $1 with the promo code TEACHER! I LOVE these from Creativity to the Core! If you want to order Lollipics for your class (or your child’s teacher), you can get a special deal for the next few days. Use the promo code TEACHER when ordering (must be pinwheel lollipops) and get them for $1 each with a minimum of 30!!! You can order then HERE! Aren’t these super FUN for Meet the Teacher Day! If you want to enter to win a fantastic prize, you can enter here. One winner chosen at random will receive an Ellison Superstar Die-Cut Machine and $60 worth of my new dies that JUST launched as well as 30 custom lollipops! How cute! And that prize pack is fabulous! These are darling!! Gonna share with my mom friends as a back to school idea!